Is evil just very wrong? Is evil a distinct moral concept? Or are evil actions just very wrong actions? Some philosophers have argued that evil is a distinct moral concept. These philosophers argue that evil is qualitatively distinct from ordinary wrongdoing. Other philosophers have suggested that evil is only quantitatively distinct from ordinary wrongdoing. On this view, evil is just very wrong. In this paper I argue that evil is qualitatively distinct from ordinary wrongdoing. The first part of the paper is critical. I argue that Luke Russell’s attempt to show that evil is only quantitatively distinct from ordinary wrongdoing fails. Russell’s argument fails because it is based on an implausible criterion for determining whether two concepts are qualitatively distinct. I offer a more plausible criterion and argue that based on this criterion evil and wrongdoing are qualitatively distinct. To help make my case, I sketch a theory of evil which makes a genuinely qualitative distinction between evil and wrongdoing. I argue that we cannot characterize evil as just very wrong on plausible conceptions of evil and wrongdoing. I focus on act-consequentialist, Kantian, and contractarian conceptions of wrongdoing. Sinnott-Armstrong, W. (2008). Consequentialism. In E. N. Zalta (Ed. ), The Stanford encyclopedia of philosophy (Fall 2008 ed.). 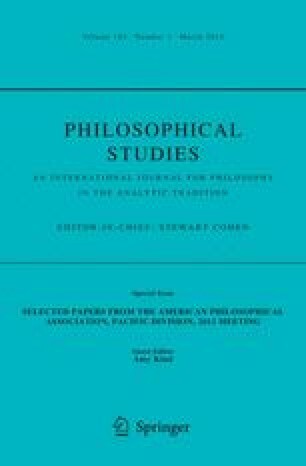 http://plato.stanford.edu/archives/fall2008/entries/consequentialism. Accessed 20 May 2011.